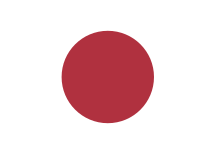 The Empire of Japan competed at the 1928 Summer Olympics in Amsterdam, Netherlands. 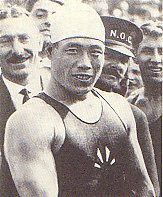 The Japan Amateur Athletic Federation (Nihon Rikujo Kyogi Renmei), founded in 1925, officially took over sponsorship of the Japanese Olympic team from the Japan Amateur Athletic Association in 1928. Japanese government sponsorship of the Olympic effort continued, both financially, and through expansion of the annual Meiji Shrine Games to include a wider variety of sports, including archery, basketball, field hockey, rowing, table tennis, volleyball and equestrian sports. The games became the qualifying event for the Japanese Olympic team, which now for the first time included a woman (Kinue Hitomi). For the 1928 Olympics, Japan fielded 43 athletes. ^ Guttman, Allen. Japanese Sports: A History (University of Hawaii Press, 2001), p. 119-120.